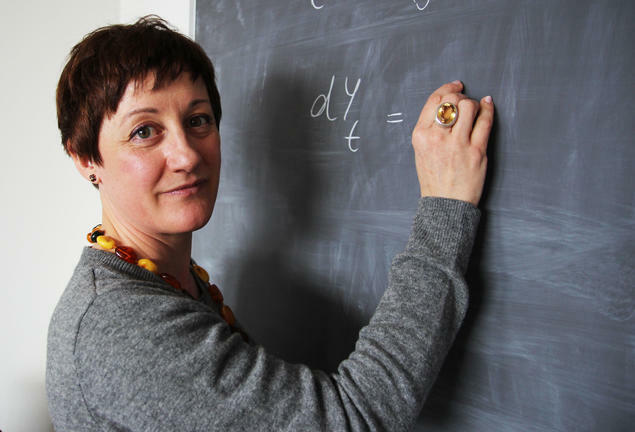 Giulia Di Nunno, professor of mathematics at the University of Oslo (UiO), is this year's winner of the ICIAM Su Buchin Prize. In Di Nunno's case, the ICIAM highlighted her work with the European Mathematical Society and the Emerging Regional Centres of Excellence programme to supports scholars and research centres based in Africa. 'The award salutes Di Nunno's continued and long lasting record efficiently putting in place projects that help shape an intensive development of Mathematics in the African continent,' the ICIAIM said in a press release. Di Nunno co-led the CAS project Stochastics in Environmental and Financial Economics (SEFE) during the 2014/15 academic year. Read more about the project here.